Steeped in history, Hamilton County, Illinois is located in the region of Southern Illinois known locally as Little Egypt. The traditionally agriculture based community has in recent years begun to experience a renaissance of commerce expanding into medical, coal mining, and various other industries. The county seat and county courthouse are located in McLeansboro, Illinois a town of 3,000 people. To learn more about the history of Hamilton County, Illinois visit the “History” section on the website. Click the image above to Enter Judici Online Court Records. Have a photo you’d like to submit? 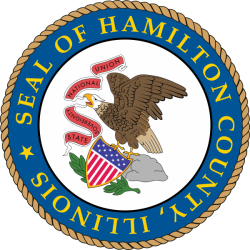 Contact Hamilton County via the contact page today! See the most recent messages from Hamilton County, Illinois Nixle, powered by Nixle.